Desarrollado en 1945 sobre la base del M24, con un total de 150 vehículos producidos. El tanque no participó en operaciones de combate en la II Guerra Mundial. Luchó por primera vez en la Guerra de Corea. 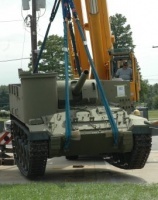 While the hull is a conversion of the M24 Chaffee, unfortunately the extra weight means it retains little of the original vehicle's maneuverability. The initial acceleration and hull traverse rate are very poor and the suspension should be the first upgrade since it can't mount the upgraded gun without increasing the weight limit. Upgrading the gun will allow you to fire almost across the map (the increased range isn't listed on the in-game stats). 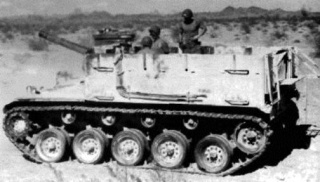 Despite the vehicle's flaws, both 105mm guns hit very hard for their tier and allow the M37 to punch above its weight in heavier battles. Another important thing to note is the M37's extremely wide gun traverse arc of 52 degrees, which, along with the GW Panther, gives it the widest gun traverse arc in the game for an SPG without a traversable turret. Good firing range with the top gun. 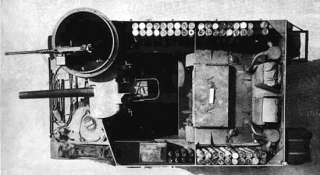 The SCR 506 radio carries over from the M7 Priest. If you have it researched, you can install it immediately. Research the upgraded suspension first for added traverse speed and weight capacity. 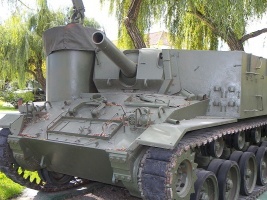 Next you can research the 105 mm Howitzer M4 for improved RoF, accuracy, and much-improved range.